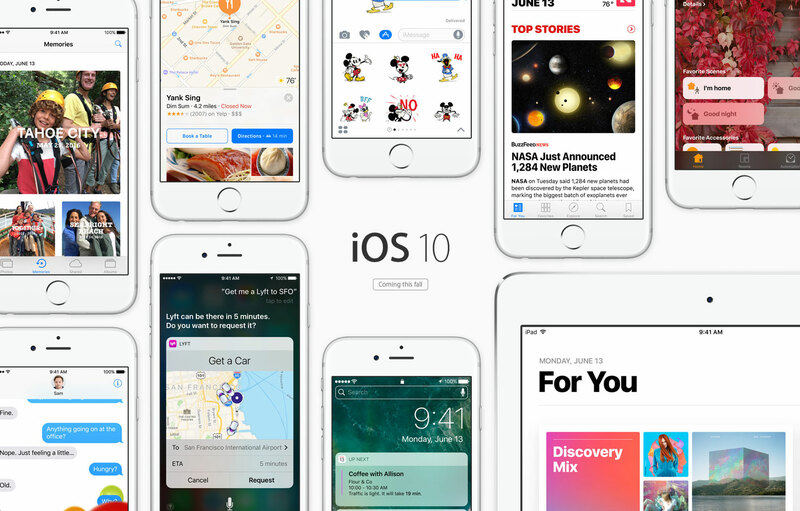 Apple has just announced iOS 10, the next-generation operating system for the iPhone, iPad, and iPod touch. Apple CEO Tim Cook described iOS 10 as the “biggest release ever” for iOS users. A lot of major updates for a wide variety of apps, services, and features, including Messages, Siri, Photos, Maps, Apple Music and more. If your iPhone has 3D Touch capabilities, you’ll be able to take advantage of some great new features on the Home screen and in Notification Center. Because Messages is the most used app on the iPhone, Apple has given it a lot of attention in iOS 10, introducing new features to make iMessages more personal, emotive, and fun. Siri is getting some serious love in iOS 10. The personal assistant is going to be accessible within third-party apps, will be able to search within apps, and more. People have long wanted a way to delete the apps that come pre-installed on iOS devices to get rid of icons for apps that aren’t in use, and in iOS 10, that’s finally possible. The Photos app in iOS 10 has been updated with what Apple calls “Siri intelligence,” which equates to new deep learning algorithms and advanced facial and object recognition techniques.. The biggest news in HomeKit is that Apple is finally launching a dedicated Home app. Apple at last rebuilt Apple Music’s look with clearer sections, new discovery features, and a better way to Connect artists and fans. If you are a News reader, you’ll get some new features to help you find out what you are looking for easier. Plus, you can access your news and magazine subscriptions right inside News. Mail has a new look with threaded conversations, which link multiple messages together in a single page. On the 12.9-inch iPad Pro, Mail uses the same three-column view that’s available on desktop machines. Traffic information en route and a dynamic view now on Maps that pans in and out to allow users to look ahead to what traffic conditions are like. In iOS 10 and macOS Sierra, Apple Pay is available when making purchases via Safari. On participating websites, a “Pay with Apple Pay” button is available, and payments are authenticated via Touch ID just as they are within apps.